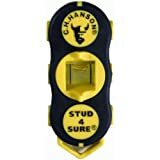 ▷ FAQ - Asked Questions About Stud Finder 2019 » studfinderexpert.com! 1 What is a stud finder? 2 How do stud finders work? 3 How much do stud finders cost? 4 How to use a stud finder? 5 Where can I get a stud finder? 6 Is there an app for stud finders? If you are a builder or someone looking to work any project related to construction, chances are you already know what a stud finder is. However, if you are just getting into building, you might not know about all the specific functions and capabilities stud finders have to offer. Knowing what a stud finder is and how to use it can be essential for your construction or building project, so it is important to get yourself acquainted with the little devices before you start your project. Even some experienced builders may not know all there is to know about stud finders, so it is recommended that all those who are interested continue to study about the history and proper use of the tools. There is a surprising number of stud finders in the market today, and finding the right one for your project (and for your budget) can be a challenge. If you are unsure of what a stud finder is or which one is right for your current construction plans, we urge you to refer to the FAQ below. Doing so could help ensure the accuracy and timeliness of your construction project and also give you important information regarding construction. 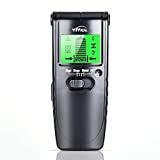 In essence, this article will examine the use, price, and purpose of stud finders, and it will provide individuals seeking to learn more with essential information regarding the devices. To put it simply, a stud finder is a small handheld device that is used for the location of framing studs that rest behind final walling surfaces. In most cases, these walls are made out of drywall. They usually have a plain, dark design with six buttons that allow you to control the device. There are two main types of stud finders: magnetic stud finders and electric stud finders. The original stud finders, developed in the early twentieth century, were all magnetic and drew from the power of internal magnets to locate studs. In 1977, however, the stud finder was revolutionized, as the first electrically-powered version was released. Electric stud finders are considered to be more modern and efficient, and as such they are vast improvements over the earliest magnetic models. Some modern stud finders run on neither electricity nor magnets, but instead operate off multiple plate sensors. In addition to this, a few stud finders even run off micropower impulse radars and ultra-wideband technology (though these are not so common). And though these stud finders are considered to be generally better than their older counterparts, there are still many magnetic and electronic stud finders in use today. This is in part because the prices for differing stud finders can vary substantially, and many who are not in professional business can operate efficiently even when using older models. Though the science seems a little tricky, the actual operation of stud finders is easy to understand. Before the invention of stud finders, individuals were forced to hammer nails into walls when searching for studs. Because studs are located behind walls, this was a highly inefficient way to find studs, and more times than not, individuals merely ended up damaging the walls. That’s why the first magnetic stud finders were so revolutionary. These stud finders used the power of magnets to locate the studs behind the wall. When the stud finder – which contained built-in magnet approached the nail behind the wall, there would be an automatic attraction, and thus the person using the stud finder could properly locate the nail. This totally revolutionized construction processes and made locating studs much easier. Despite this, however, magnetic stud finders were considered to be slow (and still are by those who use them). Enter the electronic stud finder, which shirks the magnets for the more convenient use of electricity. Made in 1977, the electronic stud finder sends out electrical currents behind the wall. If there are no studs nearby, the display screen on the stud finder will indicate that the area is clear; however, if the electric current hits a stud, it sends this information back to the display screen and allows the use to see just where the stud is. This made the process of locating studs more efficient and more accurate. Today, the relative ease of using stud finders has made them popular (if not essential) in most construction projects. How much do stud finders cost? Like all products in the world, the stud finder can vary in cost depending on its quality and capabilities. If you are in a bind and looking for a cheap stud finder, chances are you can find a magnetic one starting around four (US) dollars. For this price, you would end up getting a stud finder that works, but it would be slow and less accurate than a more expensive one. More expensive stud finders (starting at $15 and up) are recommended for building projects where accuracy and efficiency are regarded as important. These stud finders can be magnetic or electric, but it’s important to remember that electric stud finders are generally more accurate and reliable. In addition, they enable you to get the job done more quickly. For the highest quality stud finder, the price starts around $50. These stud finders are generally produced and manufactured by top name brands, such as Black and Decker. Compared with stud finders of lower cost value, these stud finders will produce more accurate readings, more comfortable displays, and will generally allow you to complete your project in a reasonable amount of time. Furthermore, you should consider your purpose. If you are not a seasoned builder and will not be using the device more than once, it is okay to purchase a more low-end device. On the other hand, if you will be using the device constantly, it is natural to want a device that better stand the test of time. Ultimately, the price of the stud finder depends on you and the work you wish to do. If you don’t want to shell out big bucks for a stud finder, then it is perfectly reasonable to buy a moderately-priced one and run with it. However, it is always recommended to buy a more quality product when conducting work that demands high efficiency and accuracy. Despite how they might seem, stud finders are quite easy to use! That is because modern-day stud finders are simply handheld. You do not need to plug them into outlets for use (even if they are electric). Instead, you simply need to turn them on and run them over the wall or area you wish to check for studs. In order to properly read an electric stud finder, you will need to be able to see a small display screen and discern the information there. If this is a problem for you, you may want to invest in some type of vision-aid when operating your stud finder. This will allow you to ensure accuracy for your project and avoid any small mistakes. Of course, the particular use of your individual stud finder will depend on the brand and cost of your purchase. If you purchase a simple magnetic stud finder, you will not need to worry about electronic displays. However, the more money you spend, the more complicated your stud finder will be. You need to check on the specific functions of your desired stud finder to see what all they can do and how to use them. Generally speaking, stud finders are not a difficult tool to operate, and with just a moderate ability to read and see, an individual can make quick and accurate use of them simply by running the finders along areas with potential studs. Be sure to make sure you can use your stud finder properly before actually starting your project. Where can I get a stud finder? The good news for aspiring customers is that stud finders are very easy to find! Though they may seem highly technical and hard to access, stud finders are actually quite common. You can find them at your local hardware store (think Home Depot, or Lowes), and even many Walmart locations carry stud finders. It is important to note that the brand and quality of stud finders may vary on location. It would be unwise to expect finding high-quality stud finders at Walmart, for example, though you could definitely find a cheap one there if you need one in a pinch. Instead, if you are looking to do some heavy duty construction, it is recommended that you visit a true hardware store and purchase your stud finder. Going to a hardware store gives you a little more freedom to enquire about the quality of the available stud finders. This means that you can work with employees to find a stud finder that is best for you (something, no doubt, that would be impossible at major retailers such as Walmart). If, however, you do not wish to go to a physical location, you can choose to purchase your stud finder off the Internet. Some websites off discounts and deals on online purchases, so this can be considered a smart investment. If this is something you are interested in, you would do well to check the websites of hardware retailers or the specific brands that make stud finders. Is there an app for stud finders? For those who don’t wish to purchase a physical stud finder, there are still other options. With the invention of smartphones, there are now applications in both the Apple and Google play stores that allow one to download a stud finder application.These applications work like any other stud finder. Using signals sent out from your cellular device, the application will locate the hidden studs behind the surfaces you are checking. Mobile application stud finders can be seen as convenient and much less of a hassle than traditional stud finders. Despite this, however, it should be noted that they may not be as accurate as physical stud finders, and there is always the possibility that the app could shut down.The decision on what stud finder to purchase is up to you, and certainly a mobile stud finder would work if you are in a tight spot. However, it is recommended that serious builders go out and purchase real stud finders (whether online or in person) so that they can ensure accuracy and efficiency in the work they are doing. If you are unsure of whether or not to purchase a mobile or physical stud finder, consider your project and the demands it requires of you. If you do not think they are too excessive, you are probably fine in using a mobile stud finder. If, however, they require a little more care, you should invest in a physical device. On the whole, stud finders are a crucial part to any construction. With a long history (now around a century old), these devices help individuals who wish to locate hidden studs behind surfaces or areas on which they wish to do construction.There are several types of stud finders, including magnetic, electronic, and even mobile. 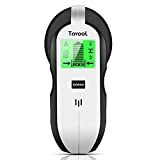 When it comes to the type of stud finder you should purchase, you should consider the specific requirements of the work you need to do and also the price of the stud finder. If you will not be using the device often, then it does not make sense to purchase a name-brand stud finder. Ultimately, the decision to purchase a stud finder (and which one to purchase) rests on you and the job you have to do. If you are still unsure after reading this FAQ, then it is highly recommended you speak about the issue with your local hardware store, as they will certainly the advice and direction you need in completing your task.Above all else, choose a stud finder that is accurate, reliable, and within your budget. This means that you should consider your options carefully and buy an accurate device that won’t break your bank. We hope that you find the one that is right for you!